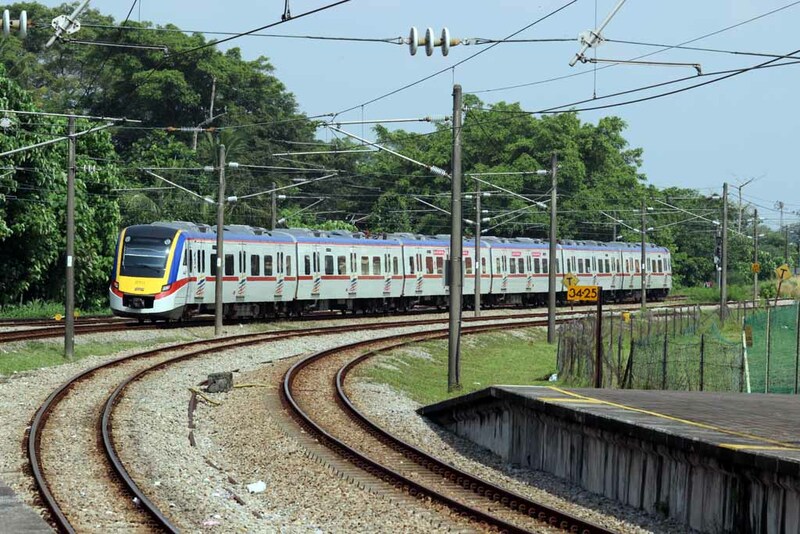 I have to admit one of the reason why I spend 9 days to travel in Malaysia (and Singapore) is I want to visit Bukit Berapit line, before being closed down. 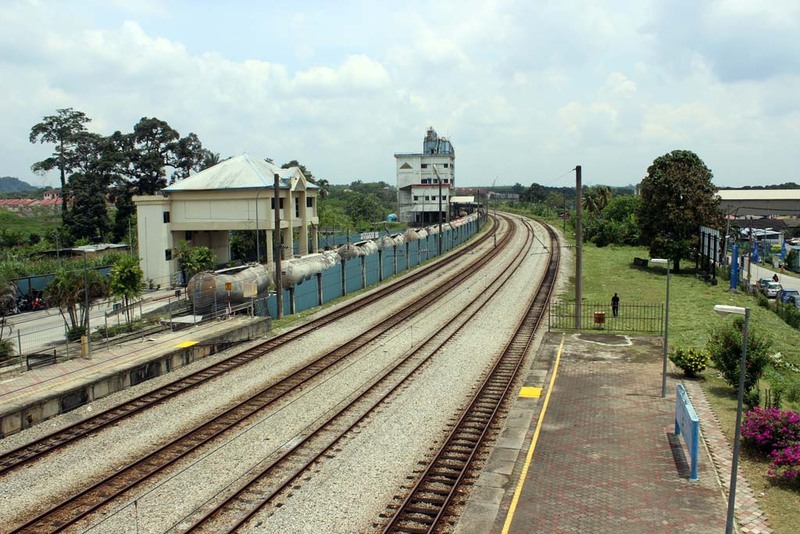 In fact, I initially want to stay in Taiping (due to its close proximity to Bukit Berapit). But when I learned that the place is still accessible from Kuala Lumpur, I decided to change the lodging place to Kuala Lumpur. But a combination of tiring days (read my the 3 previous chapter), and my inability to adjust to Malaysian timing, led to the cancellation of this plan. To my eternal regret, it turned out that the line was in operation when I was there, and the plan to retain the track for tourist line didn’t seem to materialize. Did I feel upset about that? I didn’t actually. In fact I was glad that apparently bang Johari came all the way to KL to meet myself. 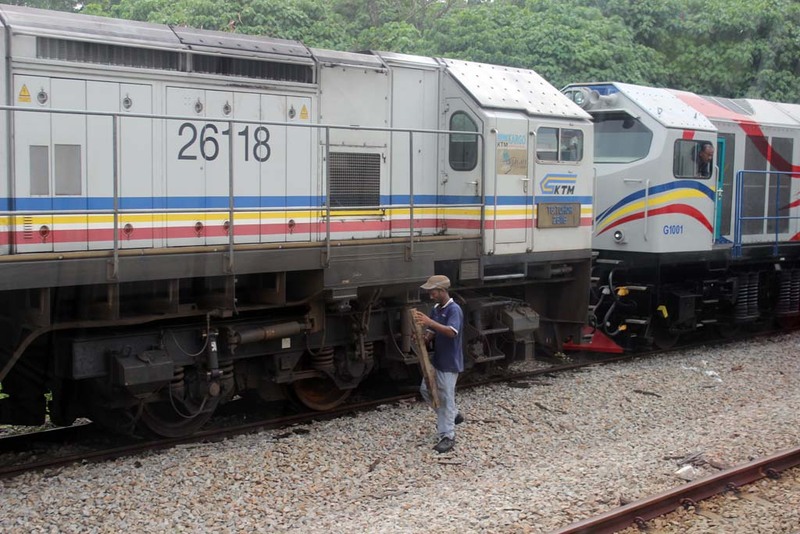 He will also be accompanied by other KL railfans such as pakcik Husin. After I took shower, I left the hotel and went to meet both of them. 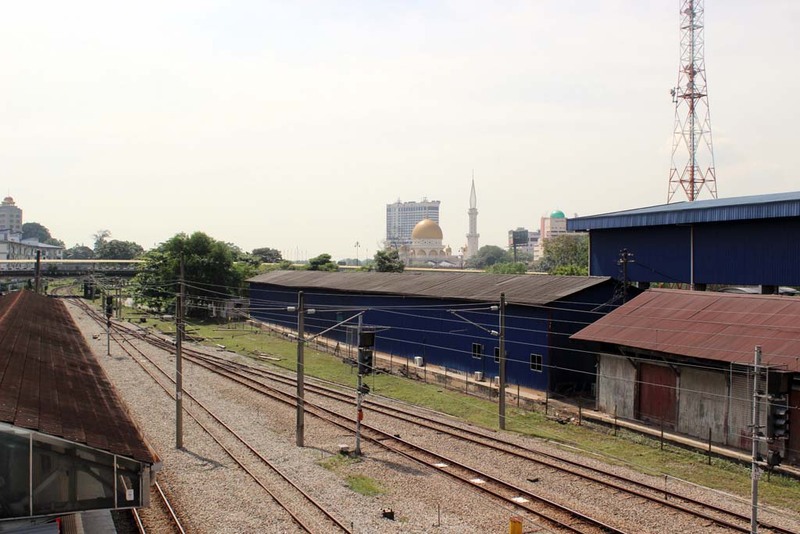 Due to some confusion, I initially went to Jalan Kastam station, instead of Kuala Lumpur station. It was early in the morning, and some passengers seemed to attempt to compensate their lost sleeping hours. 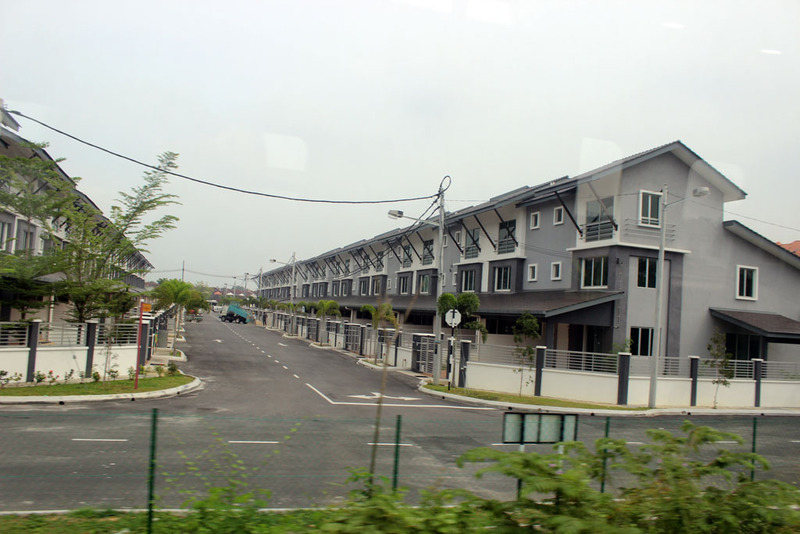 As I arrived at Jalan Kastam, it was all quiet. 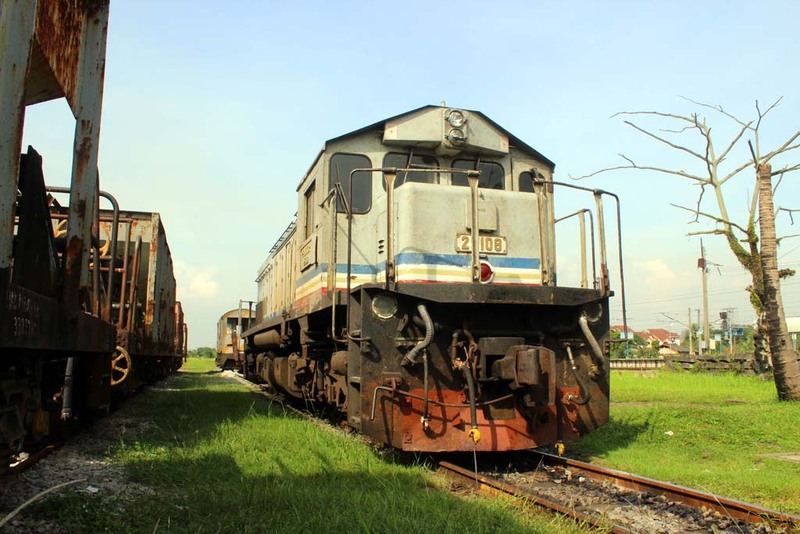 The silence was only broken by the presence of this Class 23 locomotive who was busy shunting between this station and Port Klang harbor. Suddenly, I received a phone call from Johari and Husin. Apparently, I made some mistake. 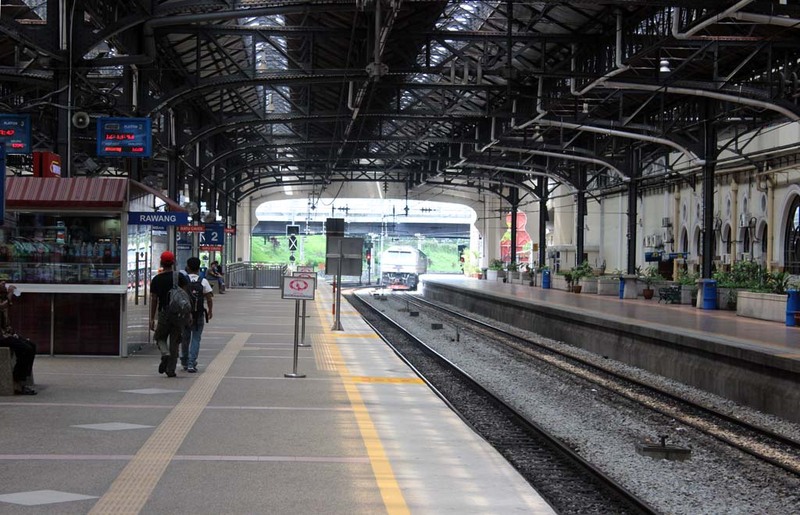 They’ve been waiting for me at Kuala Lumpur station. So I hop onboard the next train to head back to the city. 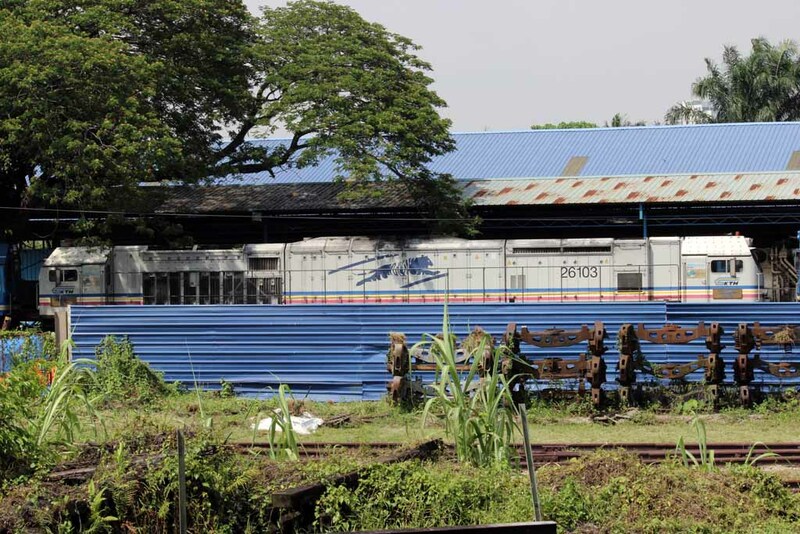 Along the way, I watched the trackside scenery. Surprisingly very little has changed over the years. 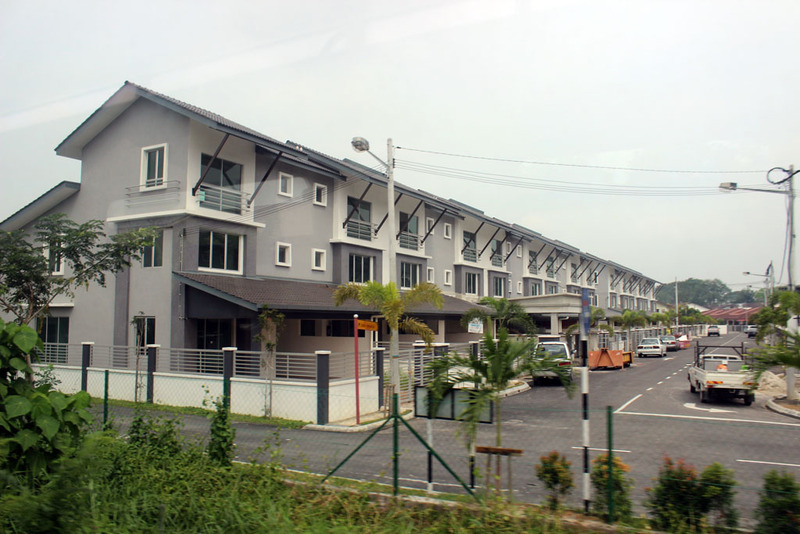 Things still look like what it was in 2004, especially in places away from KL. 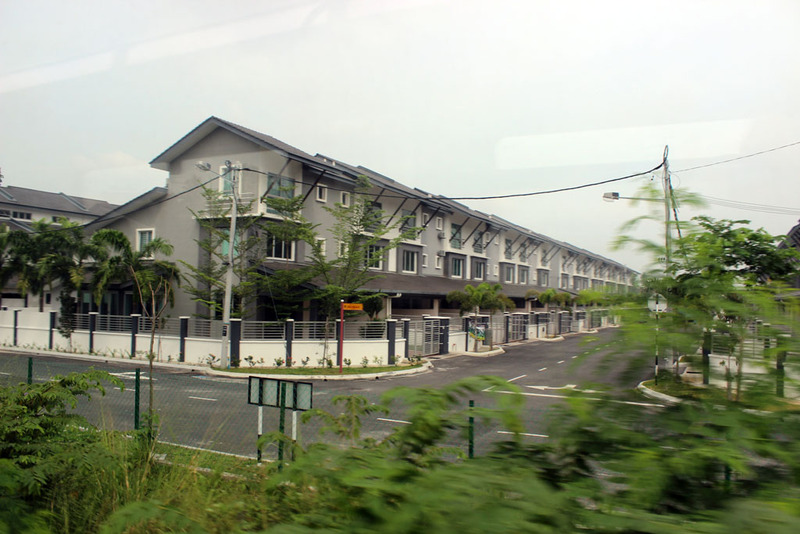 But I came across this brand new housing complex. Back in 2004, this place was just an empty marshland. Oh, I’ve just remember one thing. 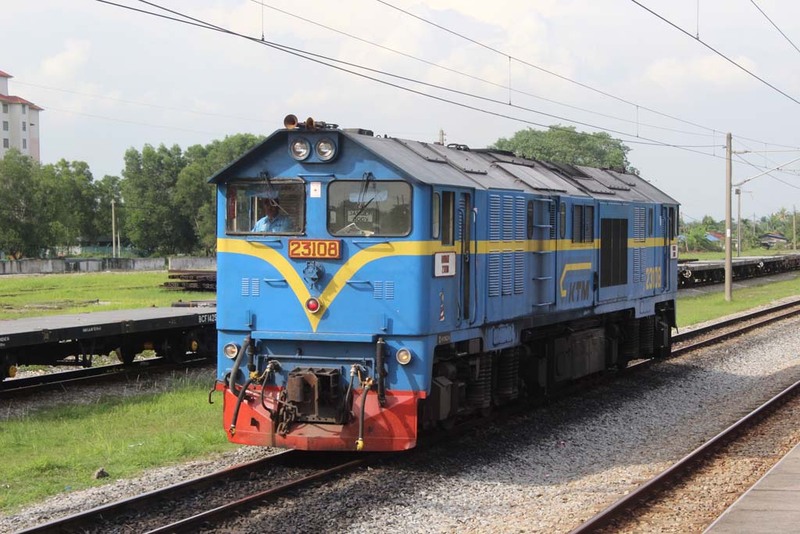 Bang Eddy actually mentioning that I could see many Blue Tigers at Klang station. He is right. 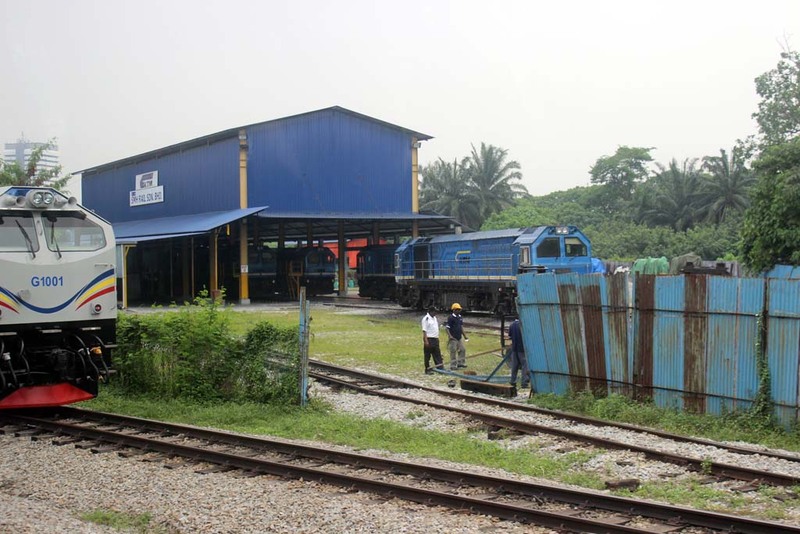 Right next to Klang station, there is a brand new workshop which handled the maintenance of Blue Tiger and Class 29 locomotives, since the demise of Sentul workshop. Back in 2004, this place used to be a coach workshop. 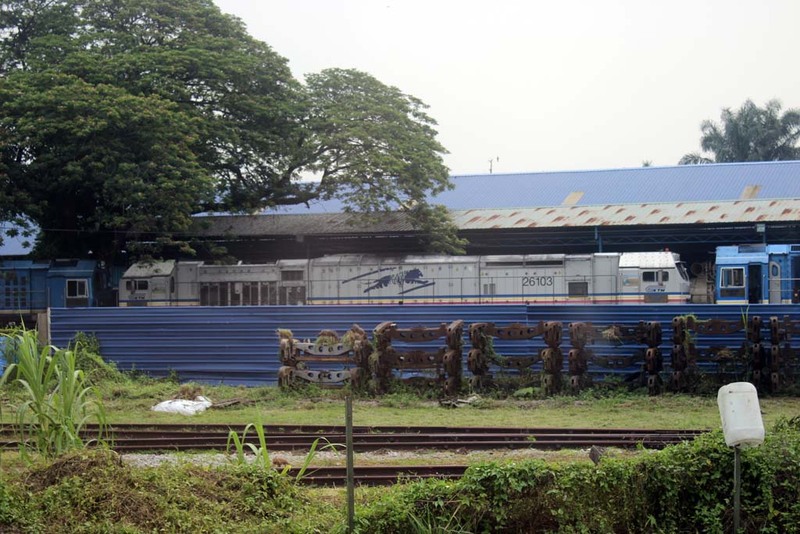 Some of the locomotives are parked on the outside. 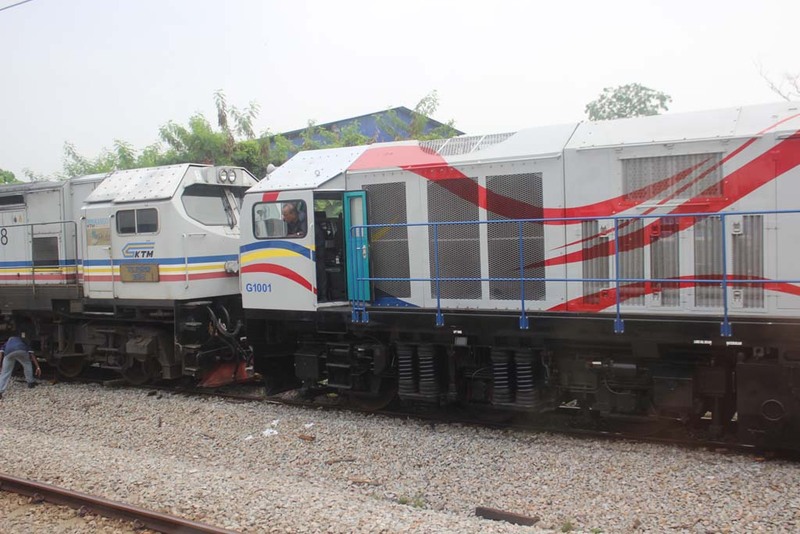 But somehow, I catch a glimpse of this unusual looking locomotive: a G-class locomotive. 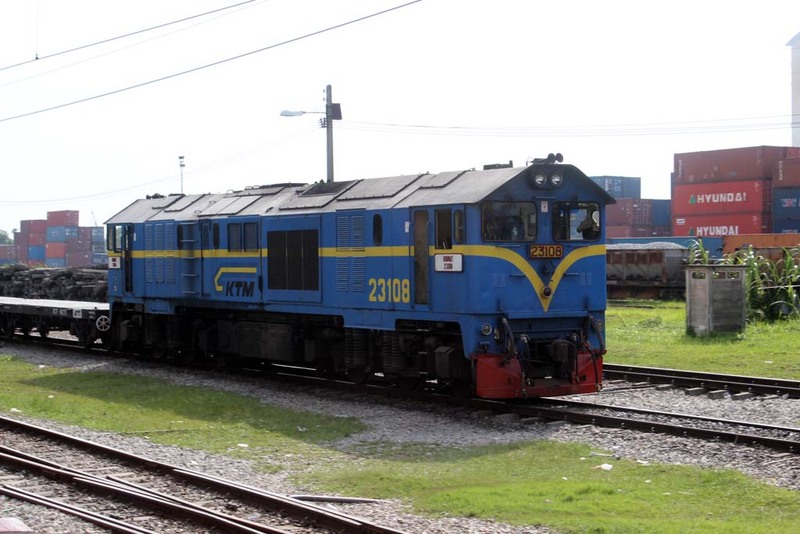 The locomotive is a heavily rebuilt Class 24 locomotive. 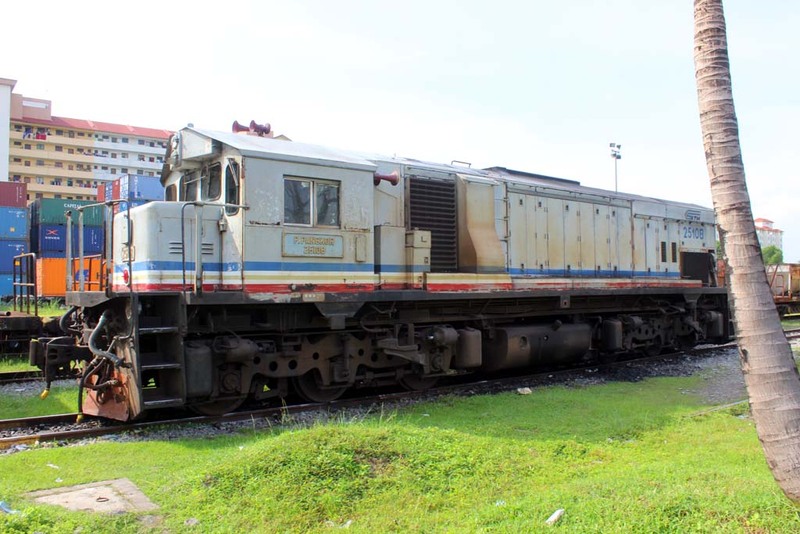 I don’t know what is the internal difference between this loco, and its previous incarnation. The workshop seemed to be busy. 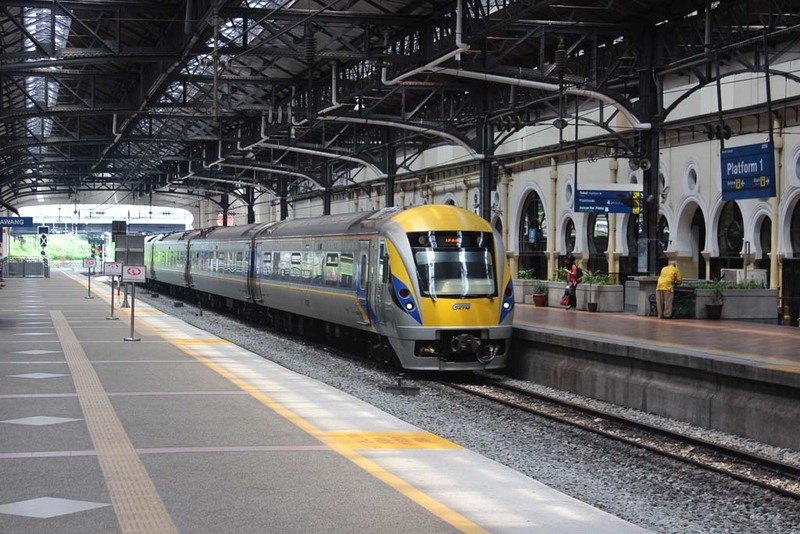 As I arrived at Kuala Lumpur station, I was greeted by bang Johari and pak cik Husin. I was really glad to meet them. And this is the first time that I met pakcik Husin Keretapi Malam. 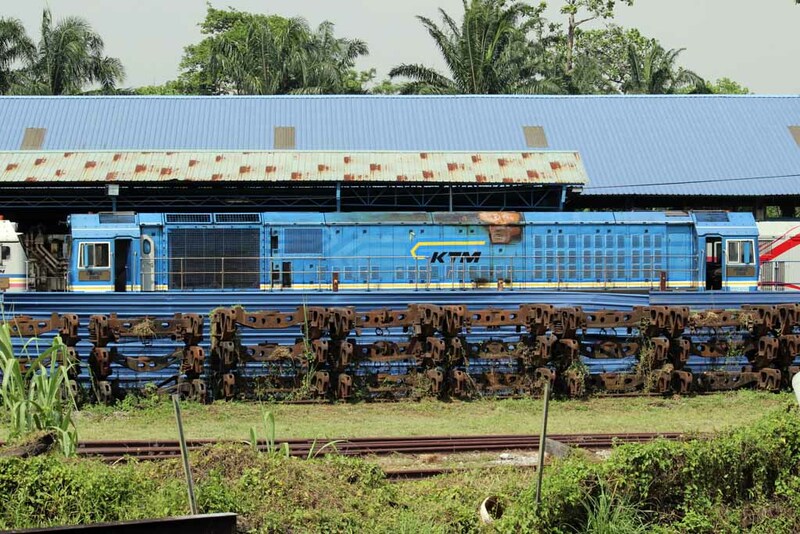 Pakcik invited me to do some trainspotting at Kuang, which I accepted. 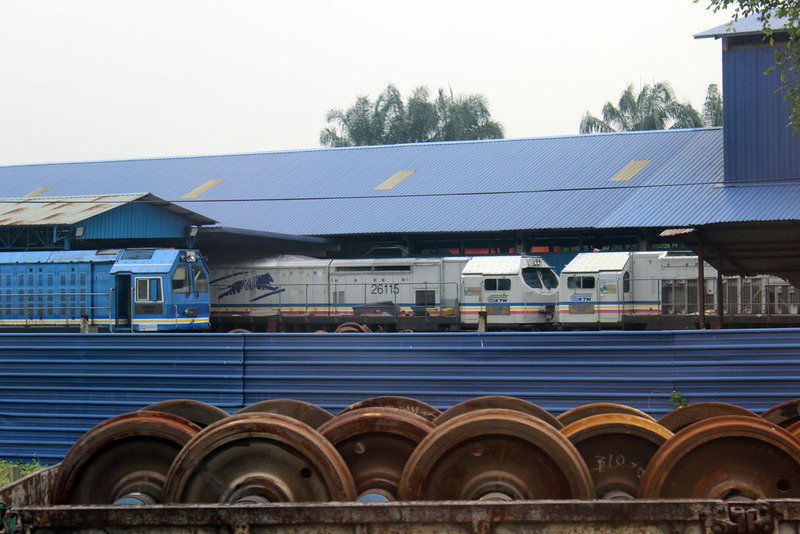 While waiting for our train to Kuang, we saw this Ipoh-bound ETS train entered Kuala Lumpur station. 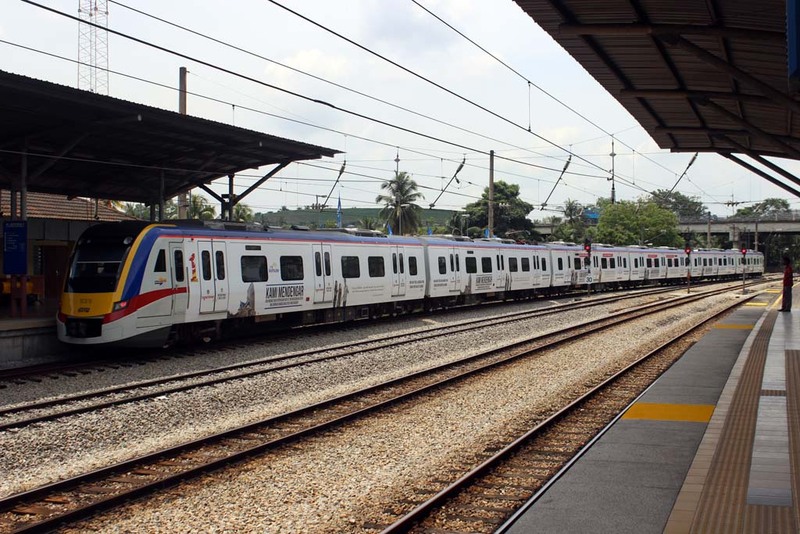 When brand new, this train could travel with top speed up to 160 km/hour. 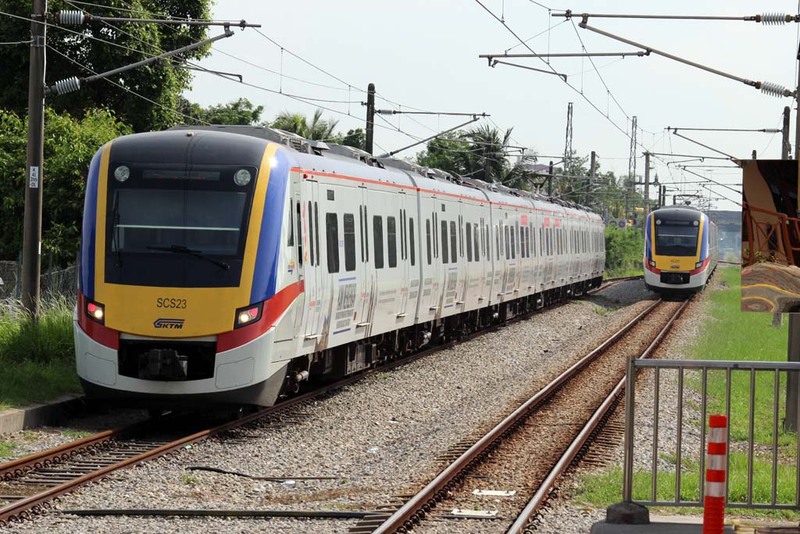 But due to recent speed restriction imposed in 2012, its top speed has been reduced to somewhere between 80-100 km/hour. 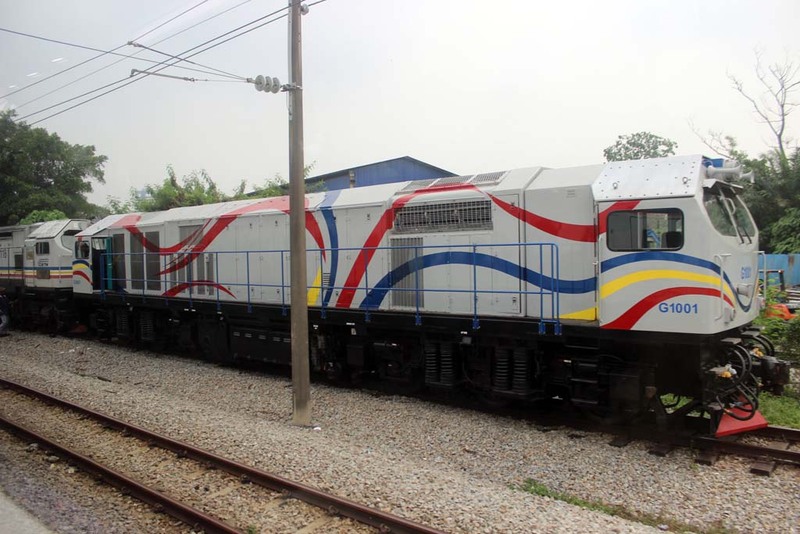 Its role is sometime supplanted by the Chinese-built SCS trainset, which only have top speed of 120 km/hour. 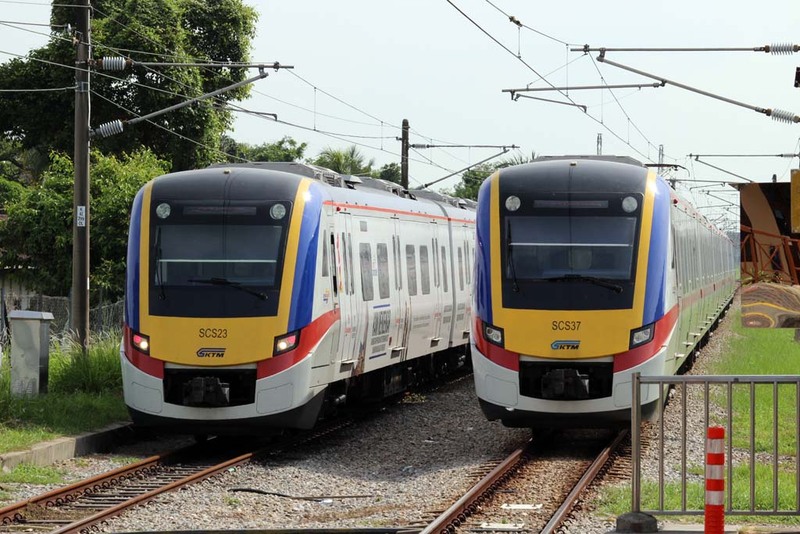 Mind you that SCS is actually a suburban train, whereas ETS is an express trainset. 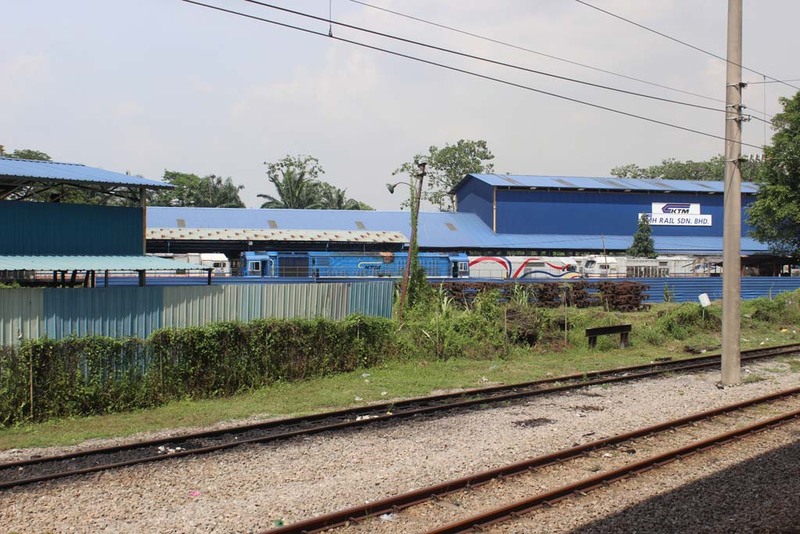 Somehow, we were intrigued by the presence of Blue Tiger locomotive in the distance. 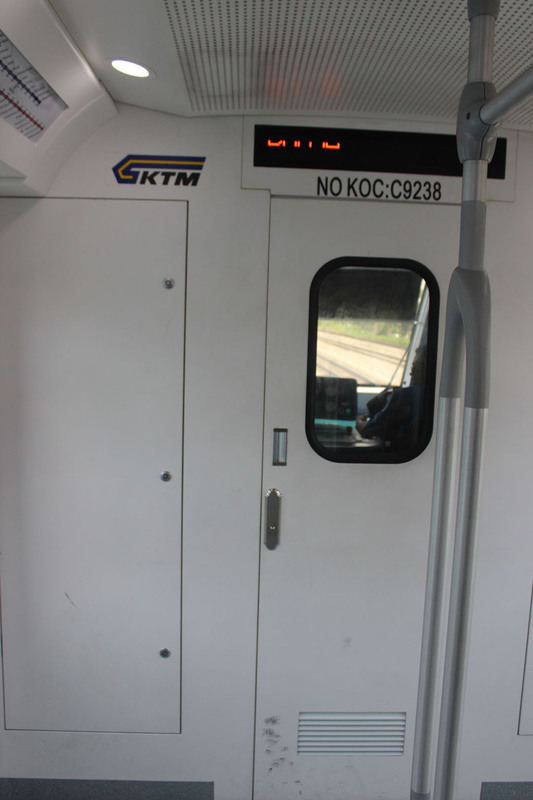 We thought it’s gonna enter the station before we realize that it returned back to KL Sentral. Pakcik and bang Johari took me to Kuang station. 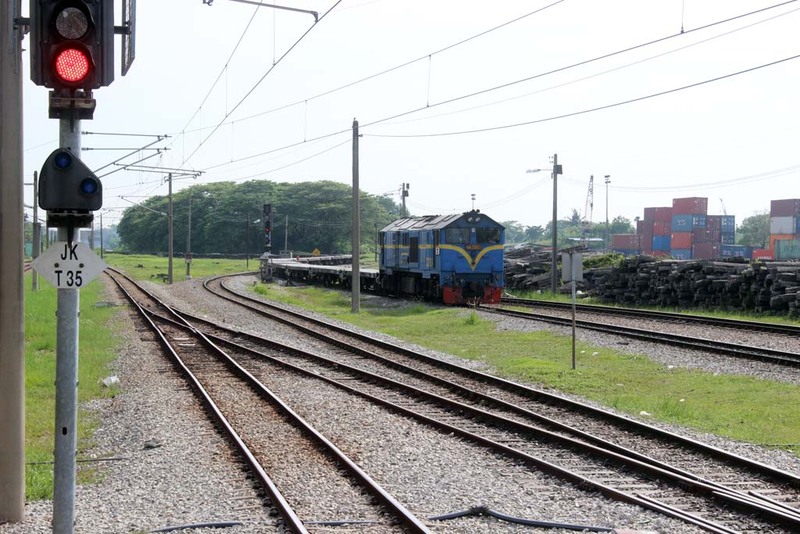 They said that the place is a nice place for trainspotting due to the presence of active industrial branchline in the station. I recently found out that back in the old days, there was a branchline that started from this station. 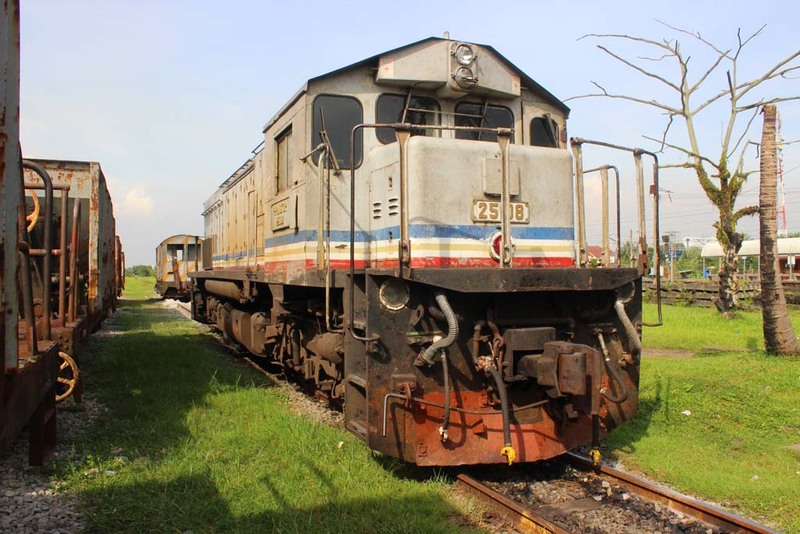 That was the Kuang-Batu Arang-Batang Berjuntai branchline, which was closed in 1970s. 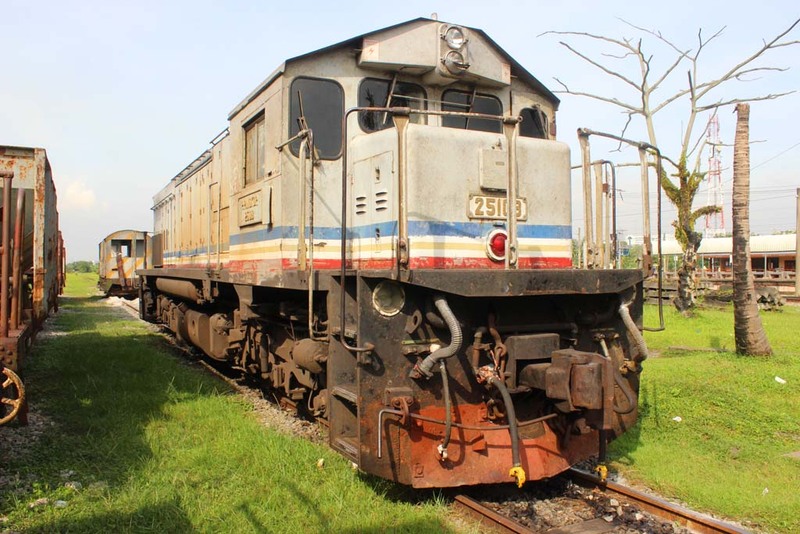 Upon arriving at Kuang, we were greeted by the sight of Class 29 locomotive, hauling a freight train. I actually took several photos of this locomotive, but since they’re identical, I only upload this one. We had a lunch at nearby food stall (it is actually a restaurant, but a rather small one). When I ordered the meal, I was really surprised to learn that despite the fact that the menu consist of Malaysian foods, the sellers are East Javanese! I could even hear that the waitress, despite of her usage of Malay language, could be clearly heard speaking in strong Javanese accent. 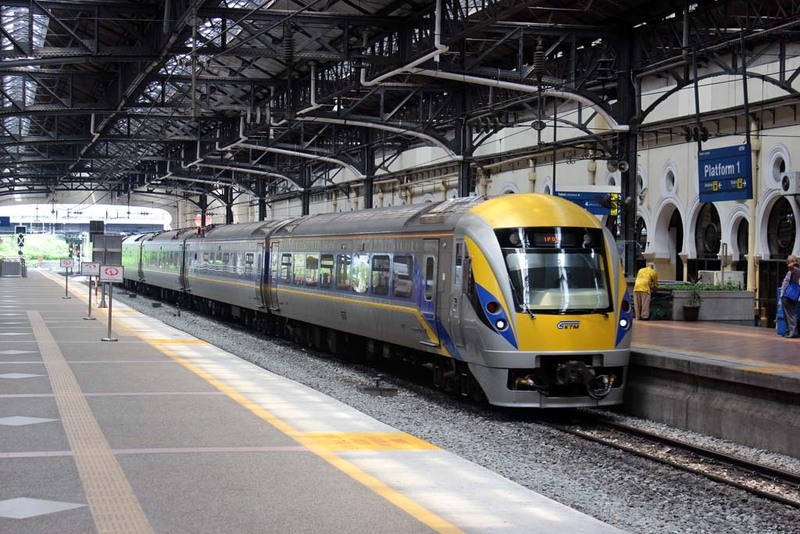 Upon returning back to the station, we found out that the train had departed the station. From this station you could see the industrial siding next to the mainline. We also passing time by photographing the SCS trainset for the platform. 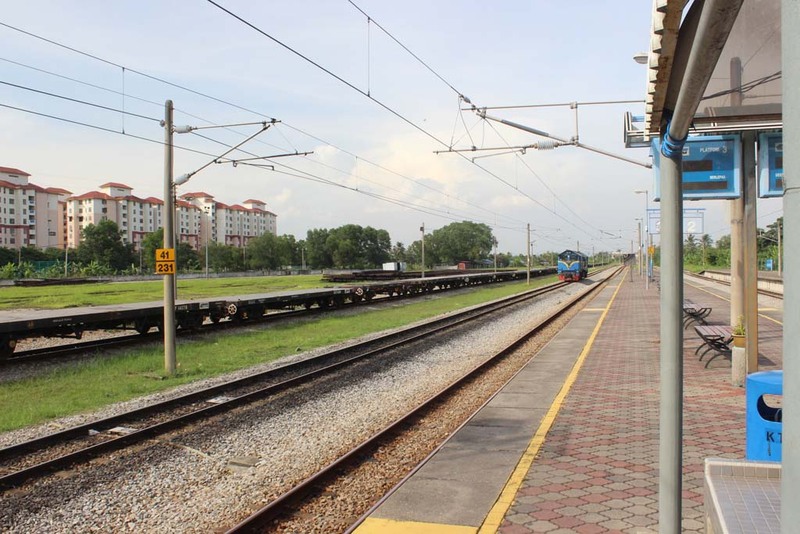 Once our train arrived, we took the train to Klang. 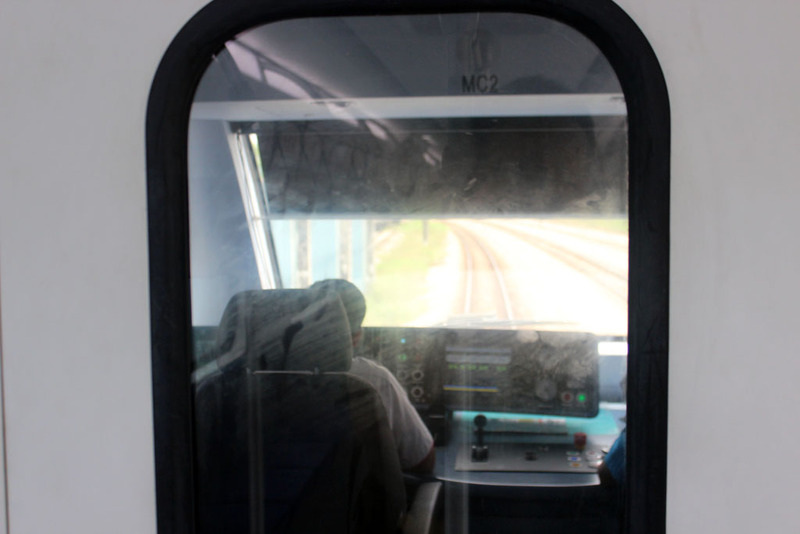 We boarded the first coach, where apparently there is a window where we could see the driver cab. It’s quite amazing that we could see whatever ahead the train. My brother joined us when we change train at KL Sentral. 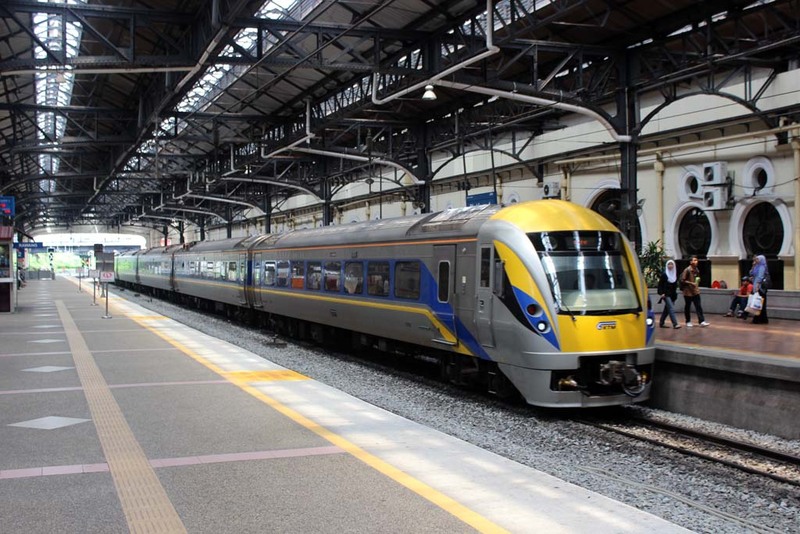 We resume our journey shortly afterward, before we eventually arriving at Klang station (again for me). Yes, the locos are still there. 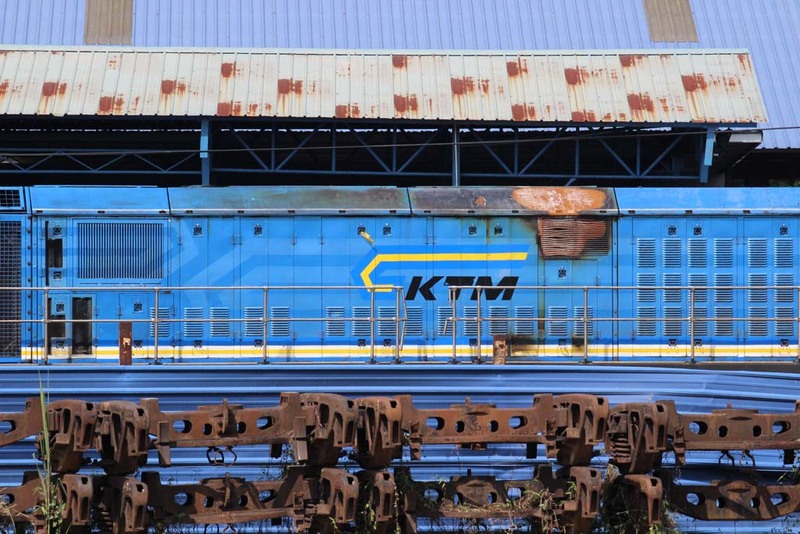 And thanks to my brother’s tele zoom lens, I could photograph the detail of this Blue Tiger locomotive. Apparently the G class loco is now inside the workshop. I really marveled the immensity of the Blue Tiger’s size. 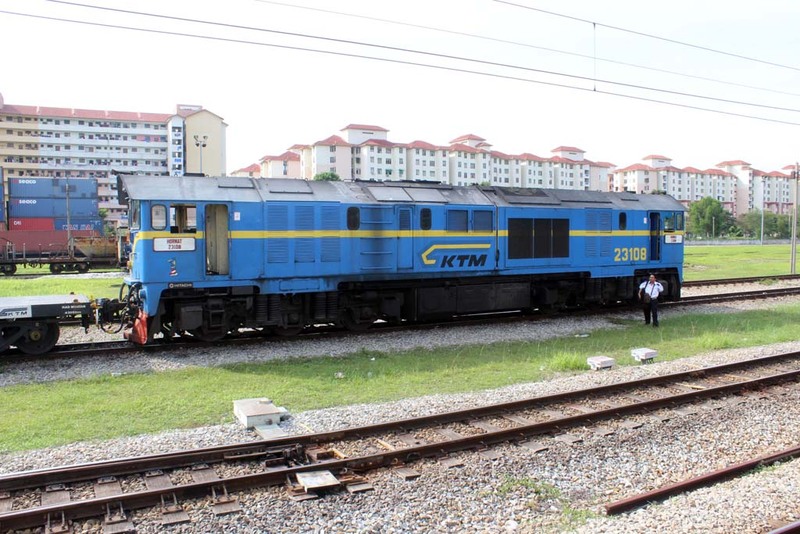 Next to it is the Chinese built Class 29 locomotive named “Kempas”. You could see the detail of the cab from here. 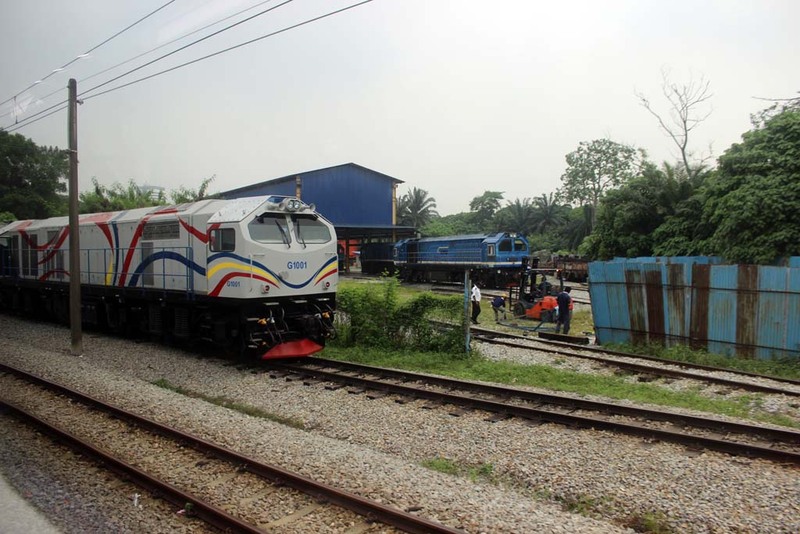 But somehow this image show why this locomotive is in the workshop: apparently the engine have caught fire. I didn’t realize if this was an omen, because a few weeks later another Class 29 had also caught fire, due to engine overheating. 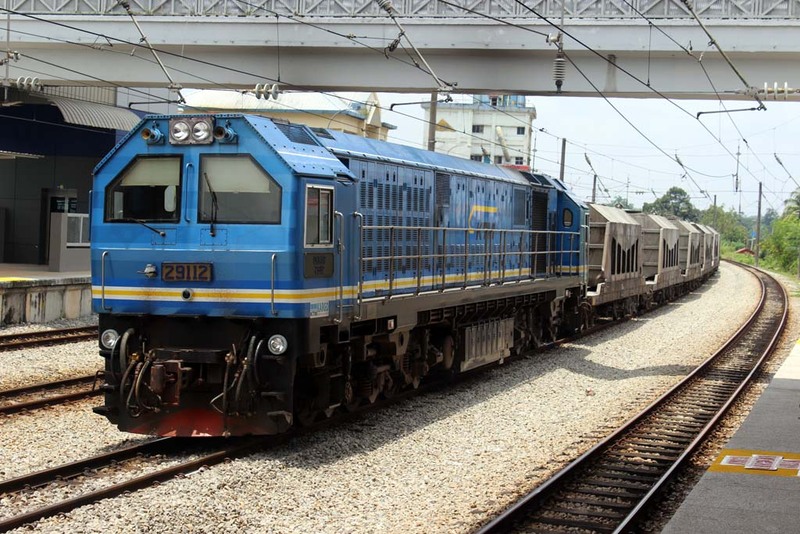 Does these Chinese built locos suffer from production defects? 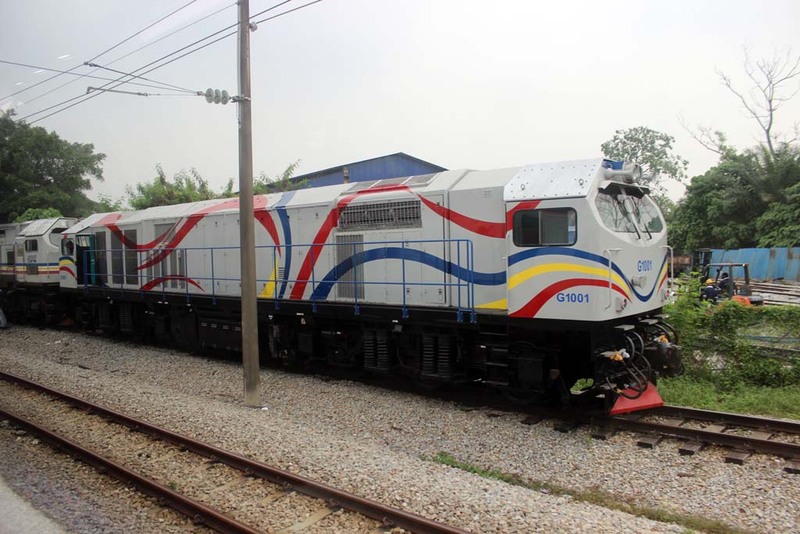 Unlike the locos, the Chinese built SCS trainsets seemed to operate without problems. 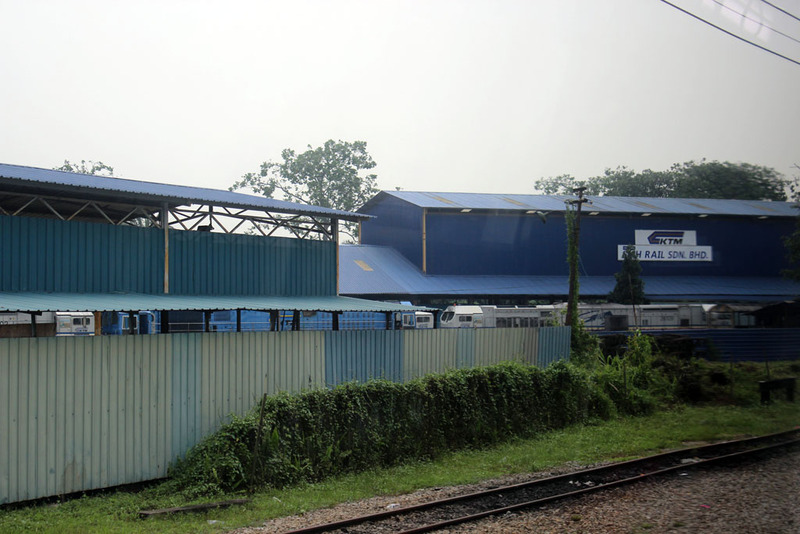 Once we completed trainspotting at Klang, we went to Jalan Kastam where we do further trainspotting there. 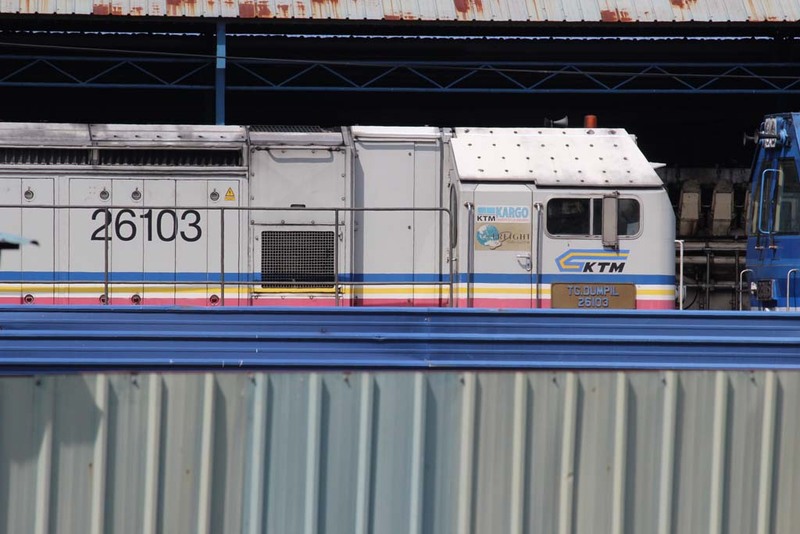 Somehow, in Jalan Kastam I had the privilege to photograph the locomotive up close and personal…a rarity in Malaysia indeed…. 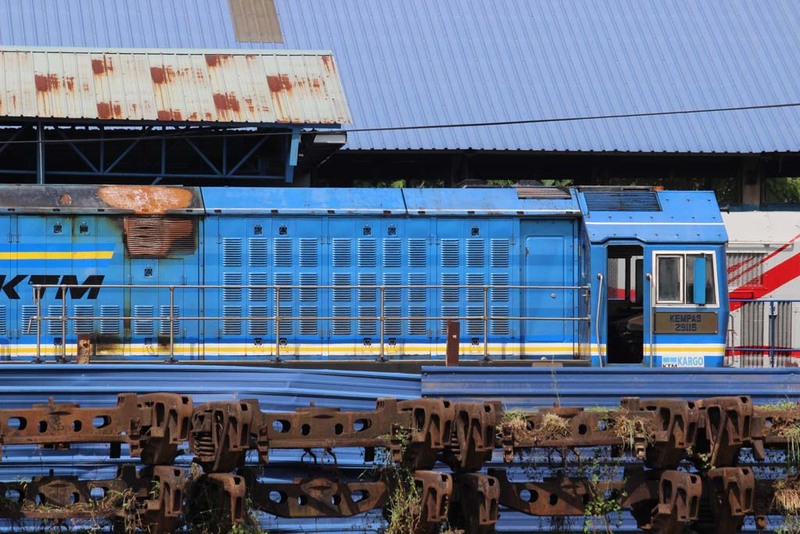 This Class 25 locomotive might have seen better days, and it is parked in here for shunting duties. 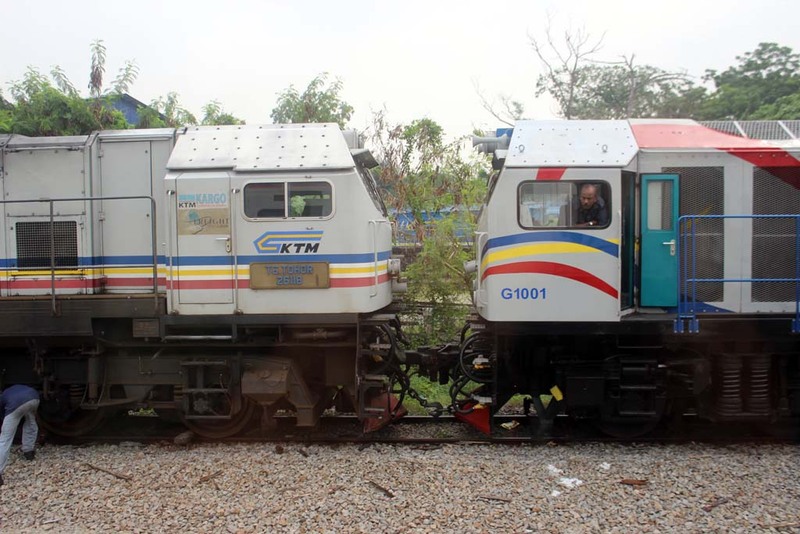 In fact, it seemed that they operate this loco in the same manner as road vehicles. If they want to use it, they simply start it and run the locomotive, and once finished they simply shut it down; all was done within one hour! And they seemed to go without signal clearance, or bounded by schedule. 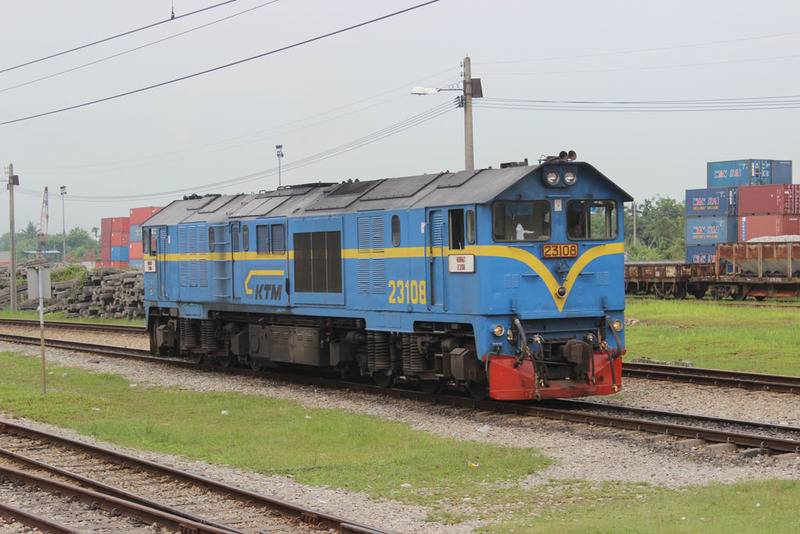 Including this Class 23 who have just returned back from Port Klang with a train of empty flatcars. This locomotive, in my opinion, is the dullest locomotive I’ve ever seen. Just a block of steel, without streamlined styling at all. 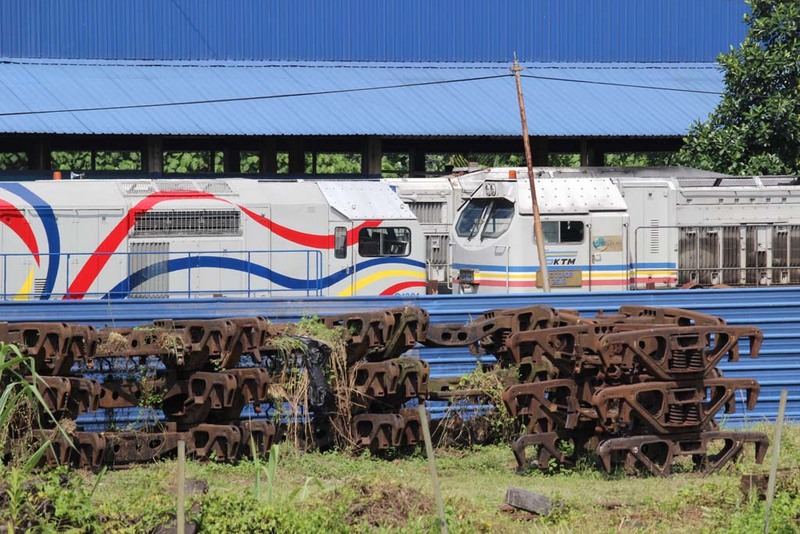 But for some local railfans, the loco is their favorite loco. 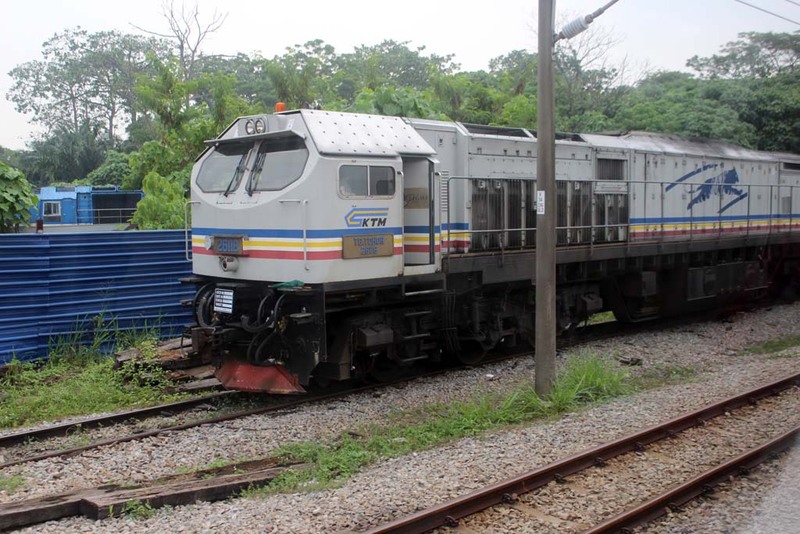 This Class 23 kept going back and forth to do shunting at Jalan Kastam. 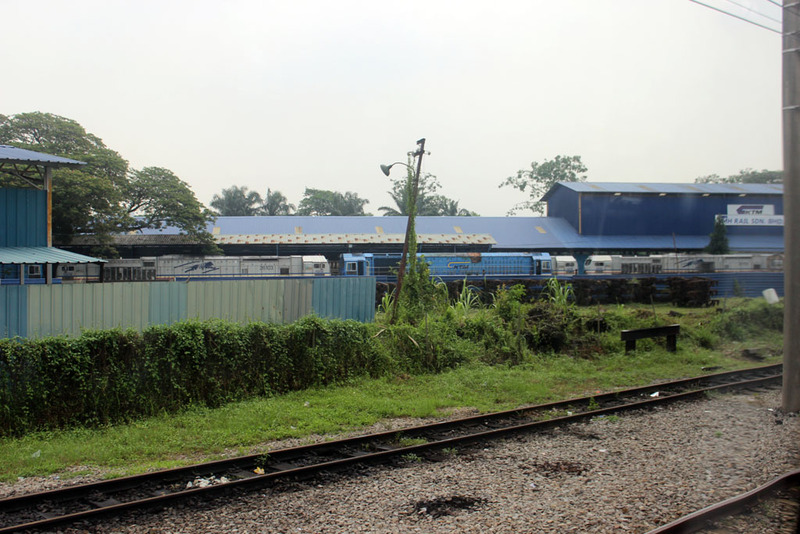 This visit to Jalan Kastam was a one kind of railfans gathering for us. Bazree have just finished his work and he was able to meet us. As well as Caparazo (forget his real name) who was off duty. It is the first time that I met Bazree again since his previous visit to Bandung. He was glad that we could meet again. We talked a lot about many things, including his plan (although not yet confirmed) to made another trip to Indonesia. However, the meeting is rather incomplete as Pakcik Hasin had to return back home, and bang Eddy is yet to arrive back from his office. Me and my brother too cannot spend time with them longer as we had to return back to Kuala Lumpur for city night photography. Therefore we cannot join the trip to one of the island around Klang to watch the sunset. So we bade farewell and returning back to Kuala Lumpur. Throughout the journey, I found one novelty in the SCS: electrical plug. 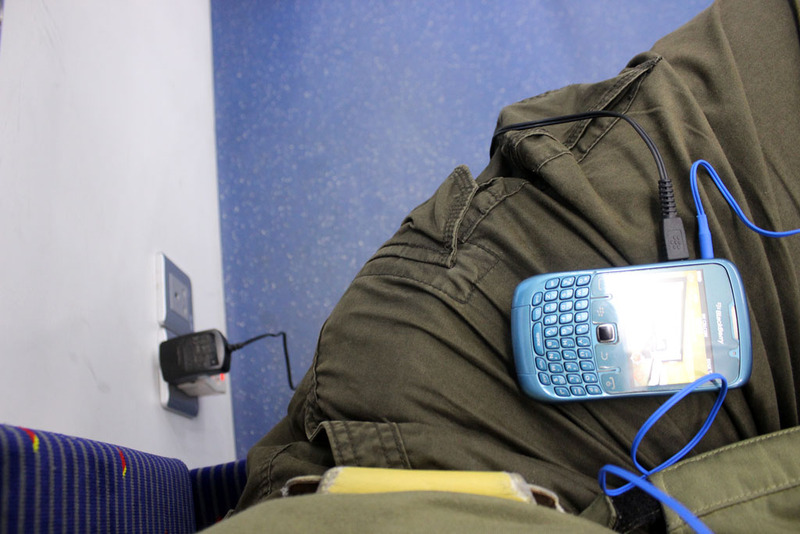 It allowed me to recharge my voracious mobile phone. I never found this on any other commuter trains (including Singapore’s MRT). 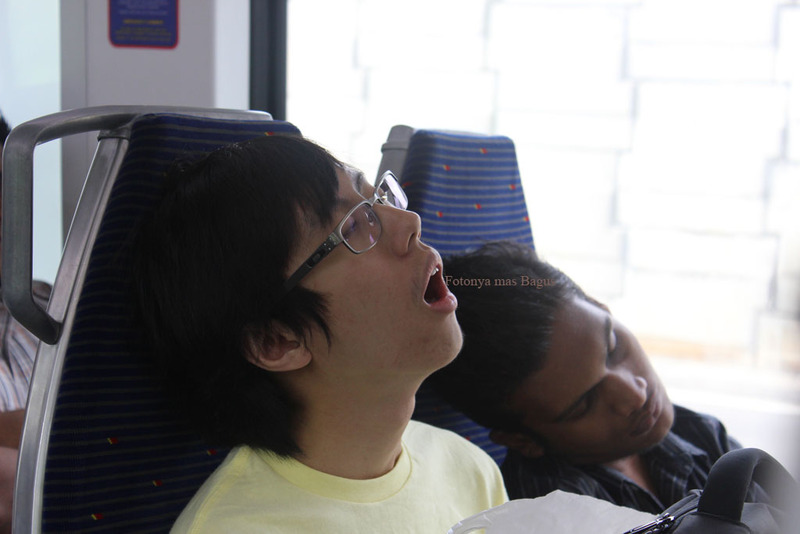 Me and my brother was so tired, and we decided to take some nap along the way. mas bagus, caparzo is his FB name, his real name is ahmad izzat, also known as ijat.